The Iglesia de San Nicolás was built on the site of a former mosque, of which only the cistern remains. 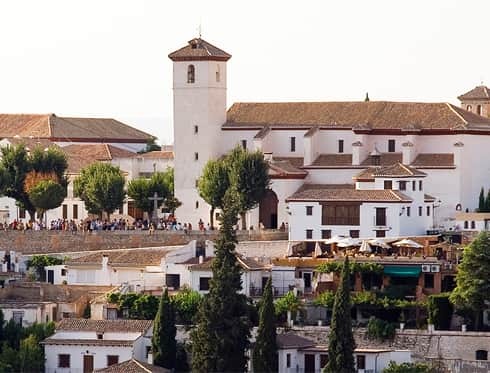 Together with the church of San Cristóbal, it is the oldest of the Mudejar churches in Granada. It was destroyed by fire in 1932. La Iglesia de San Nicolás is well worth the steep hike through the Albaicin to marvel at the view of the Alhambra and the Generalife with the Sierra Nevada backdrop.